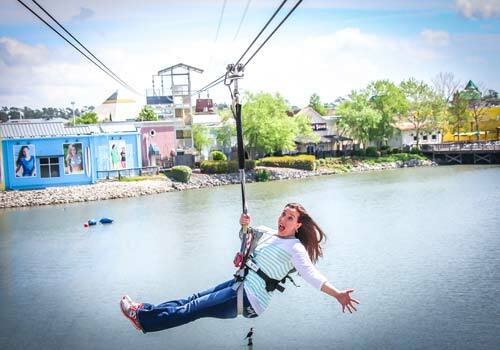 One of Broadway at the Beach’s newest attractions presented by WonderWorks, Soar + Explore Zipline & Ropes Course offers a unique outdoor adventure ideal for many ages. 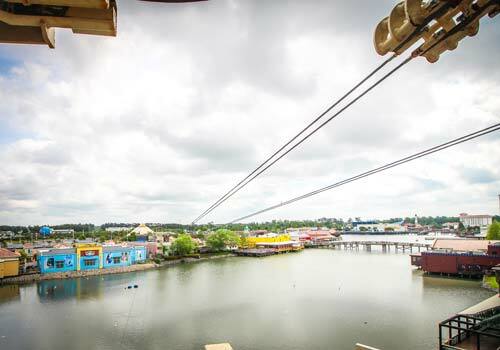 Guests can enjoy soaring up to 50 feet above water on a 1,000-foot-long zipline ride, and then navigate through a 40-foot, tropical-themed ropes course with 33 challenge elements and more than 3,000 ropes and cables. Must be at least 54" tall for zipline. Must be at least 42" tall for ropes course. Requirements - 42"min. with a chaperone or 48" min. 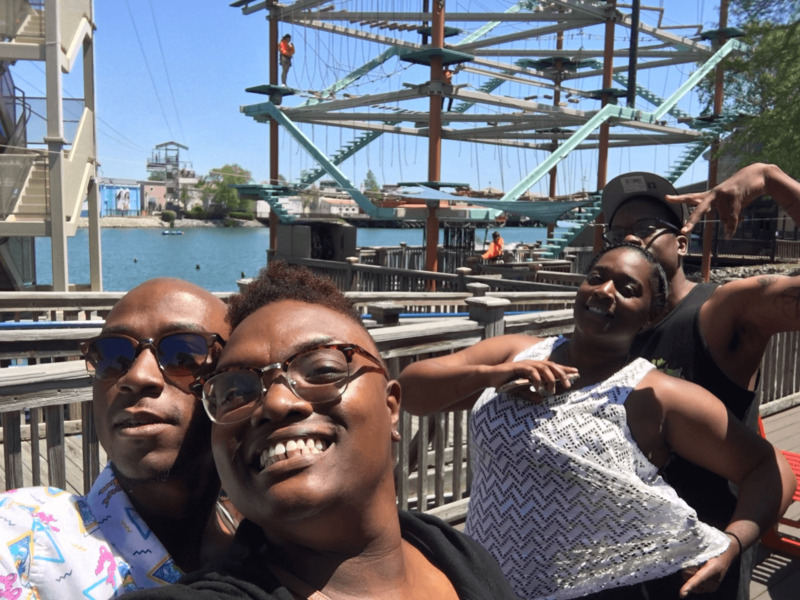 without for the ropes course. 48"min. height and 60lb min weight for the zipline. Closed shoes required and waiver for 18 and over. Open when weather permitting. 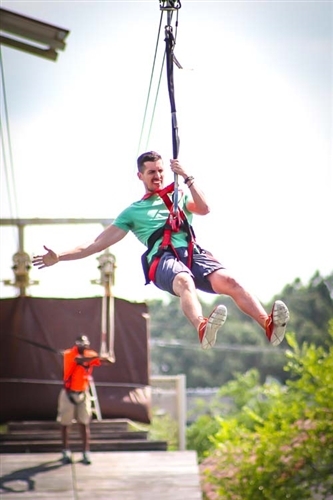 What are the requirements for the Zipline Adventure at Soar and Explore? Guests must wear closed toed shoes and be at least 54 inches tall. A signed waiver is also required for participants 18 years and older. Wear comfortable clothing. Skirts and dangling jewelry is not recommended. Closed toes shoes are required and long hair should be tied back. Please remove anything from pockets as well, like cell phones, so they do not end up lost in Lake Broadway. 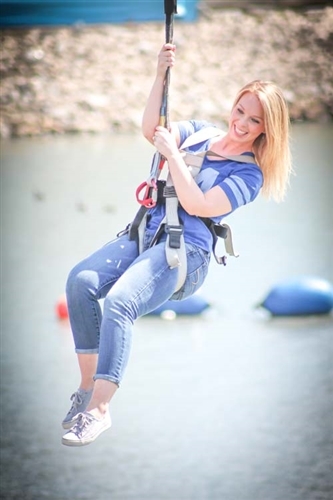 Do I have to wear special equipment for the zipline? Your zipline guide outfits you with everything you need. You’ll be given a safety harness which is attached to a tension system at all times. 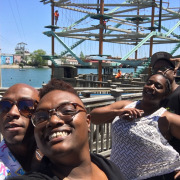 What are the requirements for the Ropes Challenge Course at Soar and Explore Myrtle Beach? Guests must wear closed toed shoes and be at least 42 inches tall with a chaperone or 48 inches tall without a chaperone. A signed waiver is also required for participants 18 years and older. What about personal belongings? Do you have lockers on-site? If you do not have someone to hold your cell phone, purse or other belongings there are lockers located on-site that can be rented for 50 cents.